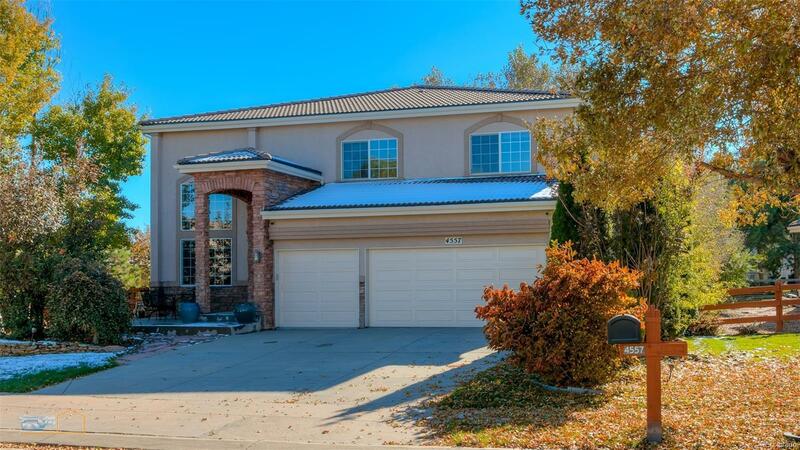 Updated and well kept home with a total of 5 bedrooms and 3 car garage. Large electronic fenced back yard, with pergola patio for entertaining. Updated kitchen with copper sink, stainless steel appliances, gas cooktop, granite countertops, cabinets and family breakfast bar. Main floor has a Den/Bedroom with adjacent full bath, 2-story living room and dining room. Upstairs with large master suite, 3 bedrooms and oversized loft with copper detailed ceiling, crown molding w/billiard room. Basement has another bedroom en-suite bathroom, and exercise room. A few steps away from Coyote Ridge Elementary school. Newer (2016) AC, furnace, humidifier and air filter.